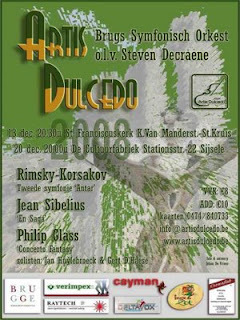 Saturday 13 and 20 Deecember I will be playing with the Artis Dulcedo orchestra. 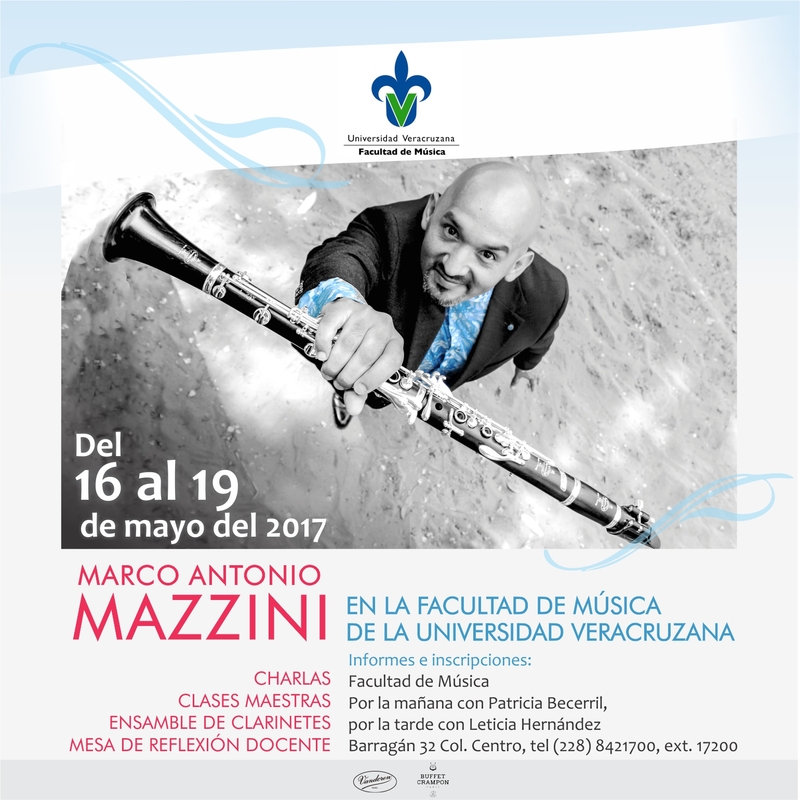 This time, I will be playing the bass clarinet during the Fantasy Concerto of Philip Glass - that wonderful piece for two busy timpanist...there are 14 timpanies on stage! The first concert will take place at Sint-Franciscuskerk - K. Van Manderstraat - Sint-Kruis, Brugge, and the last one at the Cultuurfabriek Sijsele - Stationsstraat 22 - Sijsele. More details can be found in this page. This amateur orchestra is doing a great job, and offering exquisit music to the audience. This is a sign of the healthy music life in Belgium.